Is the most comprehensive solution for project collaboration - for individuals, businesses and global enterprises. No other PM app does it, and we all want to do it. No need to check files in or out or worry about data collisions. 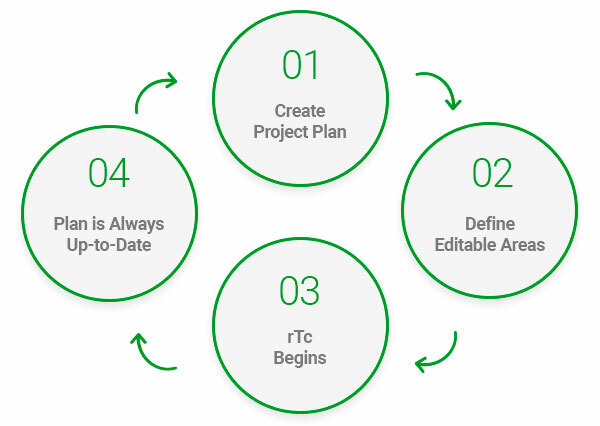 rTc is first configured by plan managers, with team members assigned tasks - who then update their own progress throughout the life of the project. And not everyone needs to purchase Project Plan 365 - just those that want to interact directly with Business or Enterprise plan members. Project Plan 365 works with you, not against you, especially when it comes to collaborating with teams in different locations and on the job site. Works on all platforms and devices making sure your plan goes where you do, or where your team members are. Powerful and secure, for the busy project manager on the go. allowing MS Project users to collaborate with you seamlessly. If you are a PM that knows the ins and outs of MS Project, then you already know how to use Project Plan 365. 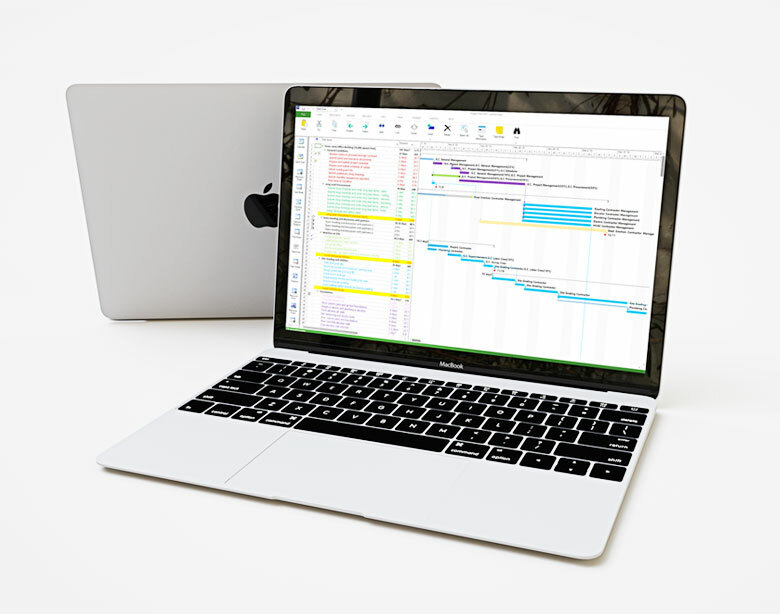 Advanced Scheduling Engine, Customizable Gantt Charts and more! Customizable to support 12 languages, over 20 date formats and more than 100 currencies. Project Plan 365 is cloud-enabled for work with all the popular cloud services, such as Dropbox, Google Drive, Box, OneDrive and more. In addition, Project Plan 365 works on your PC, your Mac, and your Apple or Android phone or tablet. 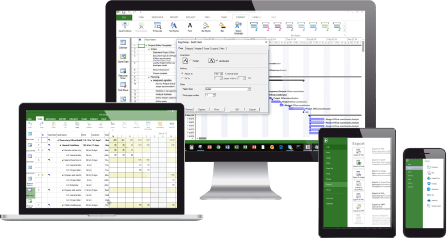 Project Plan 365 also connects to SharePoint, Microsoft Project Server and BaseCamp.You can even use Project Plan 365 via the web, making sure that wherever you are, you have your project with you. No matter where you are, you can always edit or view your Project Plan! 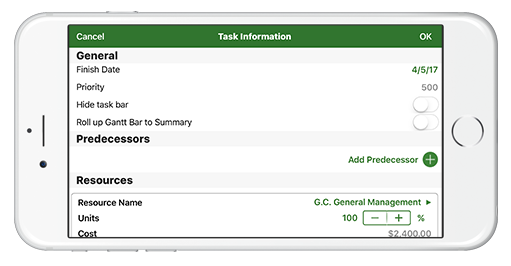 Project Plan 365 features a powerful scheduling engine that calculates costs, end dates, critical paths, resource over-allocations, and much more. 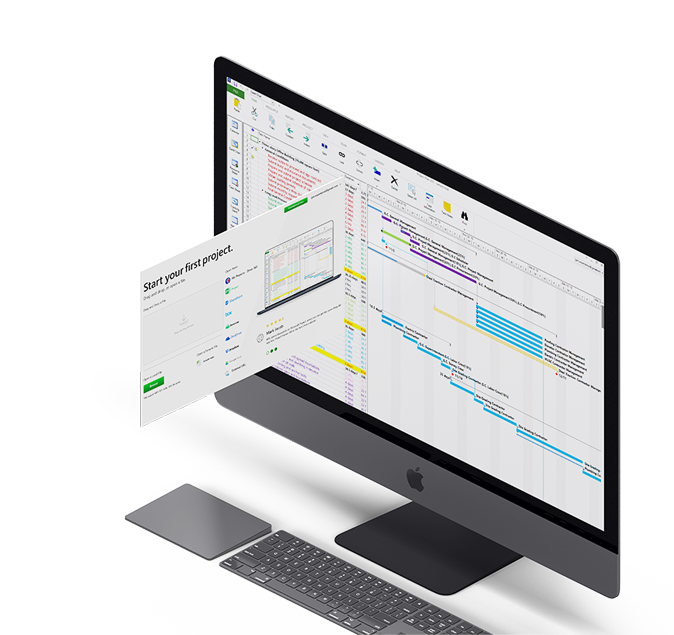 Project Plan also produces stunning Gantt charts, dashboards and reports right out of the box. There are subscription plans for an individual project manager (PM), a business team (PMO) - and even a plan for your entire global enterprise! Build your project management organization (PMO). Deploy one standard scheduling app across your enterprise.